Johannes Brahms, Composer - Martha Argerich, MainArtist - Ilya Gringolts, Violin - Alexander Mogilevsky, Piano - Nathan Braude, Viola Copyright : 2016 Parlophone Records Limited, a Warner Music Group Company. 2016 The copyright in this sound recording is owned by RSI Radiotelevisione svizzera under exclusive license to Parlophone Records Limited, A Warner Music Group Company. Claude Debussy, Arranger - Robert Schumann, Composer - Martha Argerich, Piano, MainArtist - Lilya Zilberstein, Piano Copyright : 2016 Parlophone Records Limited, a Warner Music Group Company. 2016 The copyright in this sound recording is owned by RSI Radiotelevisione svizzera under exclusive license to Parlophone Records Limited, A Warner Music Group Company. Franz Schubert, Composer - Martha Argerich, Piano, MainArtist - Alexander Mogilevsky, Piano Copyright : 2016 Parlophone Records Limited, a Warner Music Group Company. 2016 The copyright in this sound recording is owned by RSI Radiotelevisione svizzera under exclusive license to Parlophone Records Limited, A Warner Music Group Company. Johannes Brahms, Composer - Martha Argerich, MainArtist - Mayu Kishima, Violin - Akane Sakai, Piano Copyright : 2016 Parlophone Records Limited, a Warner Music Group Company. 2016 The copyright in this sound recording is owned by RSI Radiotelevisione svizzera under exclusive license to Parlophone Records Limited, A Warner Music Group Company. Johannes Brahms, Composer - Martha Argerich, MainArtist - Nicholas Angelich, Piano - Gautier Capucon, Cello - Paul Meyer, Clarinet Copyright : 2016 Parlophone Records Limited, a Warner Music Group Company. 2016 The copyright in this sound recording is owned by RSI Radiotelevisione svizzera under exclusive license to Parlophone Records Limited, A Warner Music Group Company. Martha Argerich, MainArtist - Lyda Chen, Viola - Lilya Zilberstein, Piano - Andrey Baranov, Violin - Jing Zhao, Cello - Franz Ries, Composer - Enrico Fagone, Contra-Bassoon Copyright : 2016 Parlophone Records Limited, a Warner Music Group Company. 2016 The copyright in this sound recording is owned by RSI Radiotelevisione svizzera under exclusive license to Parlophone Records Limited, A Warner Music Group Company. 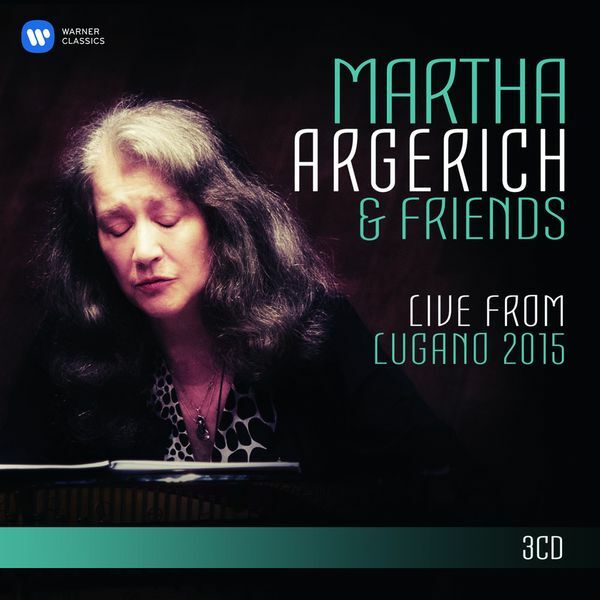 Martha Argerich, MainArtist - Joaquín Turina, Composer - Alissa Margulis, Violin - Natalia Margulis, Cello - Jura Margulis, Piano Copyright : 2016 Parlophone Records Limited, a Warner Music Group Company. 2016 The copyright in this sound recording is owned by RSI Radiotelevisione svizzera under exclusive license to Parlophone Records Limited, A Warner Music Group Company. Bela Bartok, Composer - Martha Argerich, Piano, MainArtist - Zoltán Székely, Arranger - Geza Hosszu-Legocky, Violin Copyright : 2016 Parlophone Records Limited, a Warner Music Group Company. 2016 The copyright in this sound recording is owned by RSI Radiotelevisione svizzera under exclusive license to Parlophone Records Limited, A Warner Music Group Company. Claude Debussy, Composer - Stephen Kovacevich, Piano - Martha Argerich, Piano, MainArtist Copyright : 2016 Parlophone Records Limited, a Warner Music Group Company. 2016 The copyright in this sound recording is owned by RSI Radiotelevisione svizzera under exclusive license to Parlophone Records Limited, A Warner Music Group Company. Martha Argerich, Piano, MainArtist - Luis Enriquez Bacalov, Composer - Orchestra della Svizzera Italiana, Orchestra - Eduardo Hubert, Piano - Alexander Vedernikov, Conductor Copyright : 2016 Parlophone Records Limited, a Warner Music Group Company. 2016 The copyright in this sound recording is owned by RSI Radiotelevisione svizzera under exclusive license to Parlophone Records Limited, A Warner Music Group Company. Martha Argerich, MainArtist - Francis Poulenc, Composer - Sergio Tiempo, Piano - Karin Lechner, Piano Copyright : 2016 Parlophone Records Limited, a Warner Music Group Company. 2016 The copyright in this sound recording is owned by RSI Radiotelevisione svizzera under exclusive license to Parlophone Records Limited, A Warner Music Group Company. Martha Argerich, MainArtist - Philip Glass, Composer - Giorgia Tomassi, Piano - Alessandro Stella, Piano - Carlo Maria Griguoli, Piano Copyright : 2016 Parlophone Records Limited, a Warner Music Group Company. 2016 The copyright in this sound recording is owned by RSI Radiotelevisione svizzera under exclusive license to Parlophone Records Limited, A Warner Music Group Company. Martha Argerich, MainArtist - Alberto Ginastera, Composer - Giorgia Tomassi, Piano - Alessandro Stella, Piano - Carlo Maria Griguoli, Piano Copyright : 2016 Parlophone Records Limited, a Warner Music Group Company. 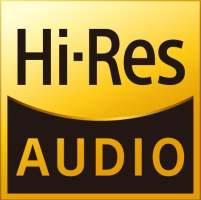 2016 The copyright in this sound recording is owned by RSI Radiotelevisione svizzera under exclusive license to Parlophone Records Limited, A Warner Music Group Company.